Want great career prospects to go with your degree? Of course you do. But for some recent college graduates, finding employment can be a challenge. While certain majors are in demand and command high salaries, others take longer to establish. That has a lot to do with competition and emerging business needs. A recent report by researchers at Georgetown University analyzes the employability of many different majors, with some interesting findings. While some majors are in high demand, other ones—which can be very closely related—make it tough to find a job. Most encouraging: unemployment rates have been dropping for the majority of top college majors since the recession. Students of architecture face a very tough job market, but those studying natural resources and agriculture enjoy excellent job prospects. How does your major stack up? Can you find a niche that will place you into a more favorable job market? Need credit for your degree? Take two free lessons on us today! While these majors may not be the highest paid, they are consistently in demand in the modern business world for recent college graduates. These majors cover a wide range, creating lots of opportunities for students in almost any field. What are the most employable majors in your chosen field? 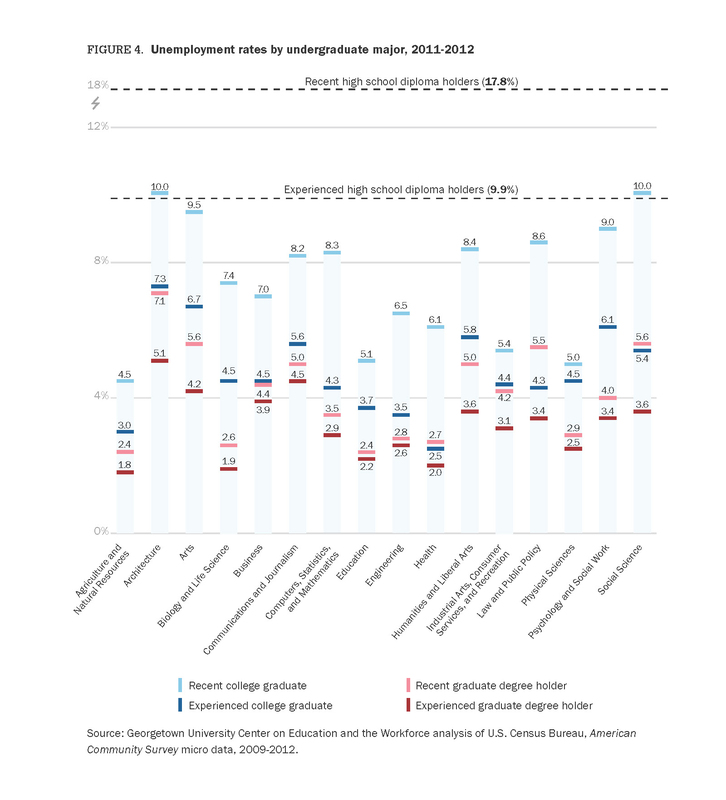 Majors in social sciences dominate here, with very high unemployment rates. Architecture is another surprising find that requires its students to undergo several years of specialized education, only to face a very crowded job market.